Weirdly named, yes. It's also known as "Fair Lady" in the western market. I do not want to get too technical with what type of Vitamin C is used and what makes it a better serum, etc. All that matters is that White Lady is an extremely effective yet simple solution to brighten my complexion. Interesting thing is that this water-like serum is meant to be applied as the first step after cleansing. I never felt any irritation even on my first day using this. It is not scented but has that faintly medicinal odor to it. White Lady is not supposed to moisturize but treat, so you have to either follow up with VC Lotion as recommended or some other moisturizer. I wish I could say my freckles and sun spots are gone, but I still have some. However, my complexion is much more even and brighter. After 2 years of use, I believe I am now a half shade brighter in terms of the foundation shade (not necessarily a convenient thing but it proves the effectiveness). Whtie Lady (plus VC Lotion) is fabulous to quickly fade away those post-pimple red scars. It is not cheap, but I believe the price is reasonable when I think about how much I've spent on ineffective and irritating Vitamin C stuff. This is a lightly moisturizing liquid with 2% of Vitamin C derivatives. VC Lotion is soothing and hydrating without being sticky and seems to function as a carrier of the previously applied Vitamin C serum, White Lady. Containing 2% of the active ingredients, it is effective on its own. I personally love this lotion and would recommend it to anyone, even to those who find Vitamin C irritating. It would be a nice way to ease into a more intense Vitamin C regimen. Even when I was not using White Lady, I always kept a bottle of VC Lotion. And as you see in the main picture, I am currently using a big pump bottle. It is more cost-efficient, but the regular size bottle lasts a long time if you're not showering your face with it as I do. I am not proud of endorsing a shark liver oil product. In my defense, I did try a few different vegan squalane (olive oil based ones) but find them far different from HABA Squalane. 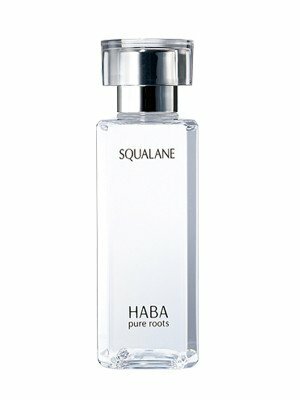 The guilt aside, HABA Squalane is probably the most versatile oil that I've ever used. It does not oxidize on skin and it never causes breakouts. It can be used on face, body, hair, and cuticles. For me, it is the final step of both day and night skincare routines. I only need a few drops on my face and another few on my neck. HABA Squalane is highly moisturizing yet never greasy that I can use it all year round. HABA used to offer Vitamin C infused version which I loved as well, but now it seems to have been discontinued. There is also the anti-aging version with Co Q-10 which my mom adores. I want to stick with the original for now since the texture is lighter and the price is more affordable. I have also tried Squa Cleansing, Squa Powder, Shampoo & Conditioner from HABA. I like Squa Powder a lot and repurchased the refill pouch. This is a gentle and effective washing powder with enzymes that seems to be perfect to use every day. Squa Cleansing and the unscented Shampoo & Conditioner supposedly have some squalane in them and are all very nice quality. However, I decided not to repurchase them because they all faintly smell like, I don't know, fish? I do have a sensitive nose, but it seemed to me that these are not as finely refined as their Squalane because Squalane is truly odorless. It appears that currently there are two different distributors in the U.S. (HABA US & HABA America). I've ordered from both, but the main issue is that the price is not even and products are out of stock way too often. I've also tried eBay sellers based in Japan and Cosme-De (based in Hong Kong) and had no problem. It is always a bit inconvenient for me to get HABA stuff. There is an obviously geographical reason to it and because the brand isn't global. I often find myself impatient waiting for the shipment from overseas, but I can also see that it's probably because I consider the line an absolute necessity in my daily routines. 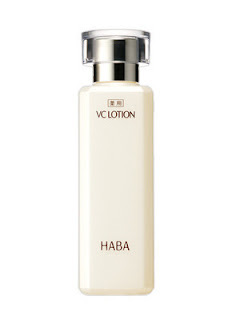 Have you tried HABA skincare? What are some of your long-time skincare favorites that you seem never to be without it? I remember Kate the Driveller used to talk about it, and I was curious. Then, I quickly forgot about it, because it's not available here. Now, you've sparked my interest again! I'll have to do more research on what to try. I'm looking for a serum, so that might be a good place to start eh? I've been ordering from a HK based website and had no issue so far. I guess the shop in Chinatown probably receives shipments from HK? I will check it out next time. Thanks for the info!